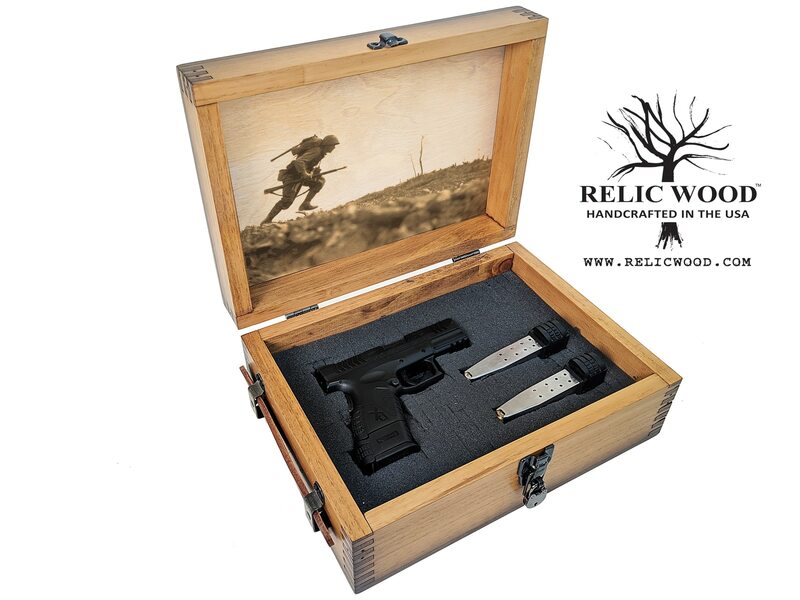 Customize our Pistol Case with your Photos, Text, Artwork. Add your favorite pistol(s), and then gift someone special. **Handguns are obviously not included. The perfect gift for any “Pistol Aficionado” that is a unique one-of-a-kind gift, handcrafted just for them. 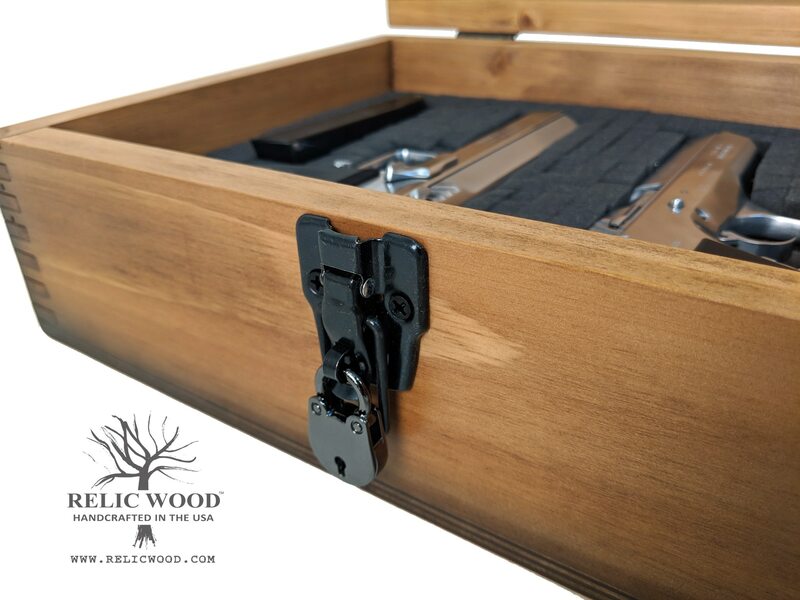 Our desktop pistol case features a lockable hasp and includes a small padlock and key. 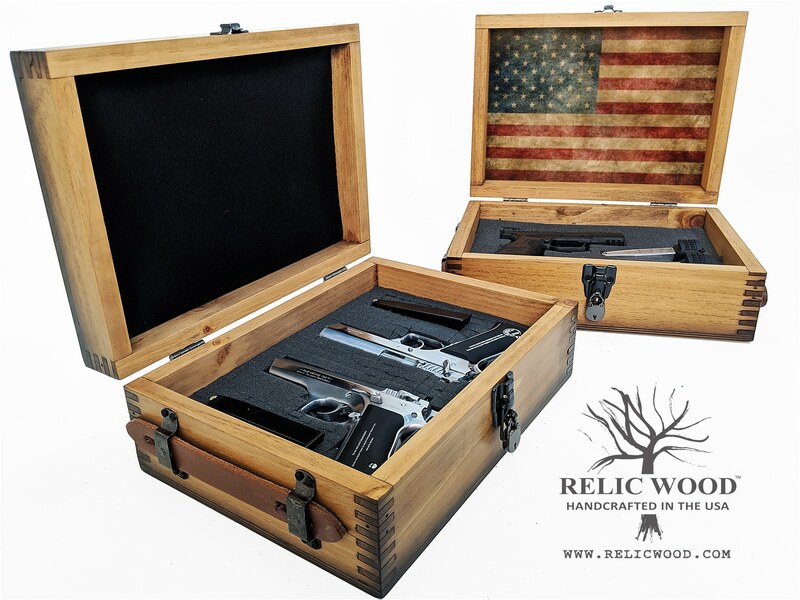 If you are looking for a custom wooden handgun case for a desktop display, this is the one you have been waiting for. Includes: Custom Full Color Lid Top Artwork, 2″ Thick Peel and Pluck Foam, Padlock & Key, Leather Handles. Additional Options: Full Color Inside Lid Artwork, Laser Engraved Lid Top and/or Inside Lid Artwork, Felt on Inside Lid, Engraved Brass Nameplate. COMPLETELY CUSTOM – Item ships in 12-14 business days from artwork approval. Add felt to the inside lid? **Only if you are not getting artwork on inside lid. Additional Charge of $39.95 per location. Check each location box that you want to add laser engraved text or line art. Once you check out, you will login into the project manager and upload the artwork to be used for each location. Literally the perfect personalized pistol case for the office, bar, or smoking room. Personalize the outside lid top with your full color photos, text and artwork on the lid top (included in the price). Additional options available are, personalize the inside pistol case lid with full color photos or artwork, felt on the inside lid, laser engraving on outside lid top and inside lid. 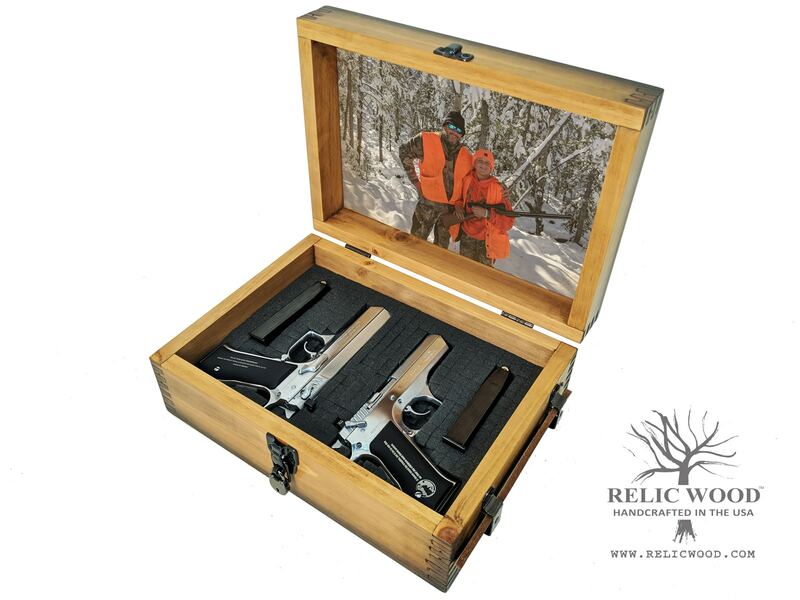 Simply add your favorite handgun(s) to this customized Pistol Case as they are not included. Each and every Personalized Pistol Case Order is assigned to one of our extremely talented on-staff graphic artists who will work with you to realize your vision and provide artwork proofs. WE ALWAYS GET YOUR APPROVAL before your personalized handgun case goes into production. From there, we embed your images directly into the wood and it is Completely Made By Hand . . . Just for you right here in America. We are a Veteran-Owned American family business. We are a company comprised of a tightly knit group of artists and woodworking craftsmen from inside our local community. 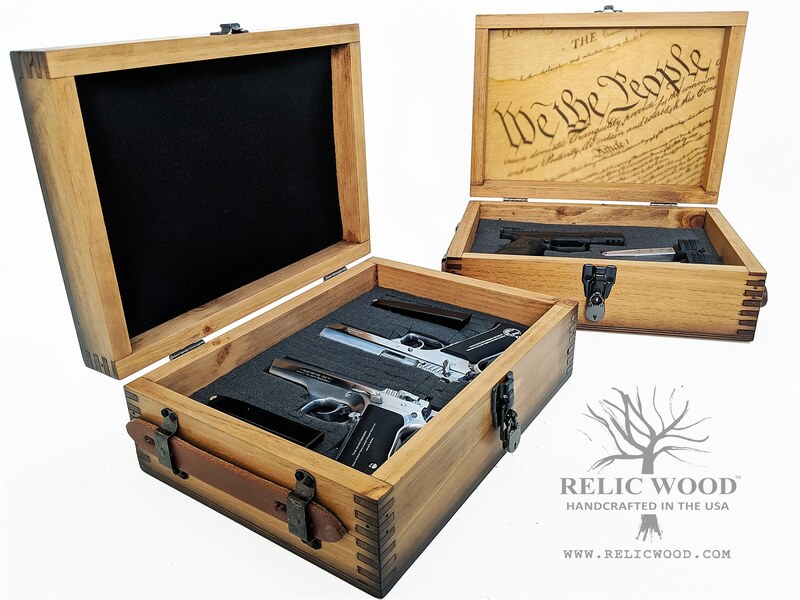 We are committed to providing heirloom quality custom pistol cases that make truly sentimental gifts.